So the entry is finally confirmed, retired Korean National Team member Oh Sang Eun is set to top the seedings at this year's New Zealand Senior Table Tennis Championships in Christchurch, providing a spectacle not often seen in this quiet corner of the world. 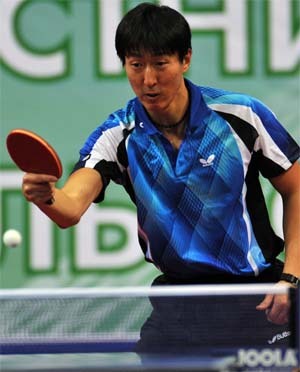 Oh Sang Eun an outstanding 1.88 metres and internationally renowned for his incredible countering game close to the table was a member of the Korean National Team for 20 years and peaked at an ITTF World Ranking of 5th. While Oh Sang Eun never won a major international event, he featured in the Beijing quarterfinals 2008, the 2005 WTTC semifinals and was 4th at the 2009 World Cup, on top of this he won 7 ITTF Pro Tour Events between 2005 and 2012. While still remaining in the top 50 players in the world (currently early 30s), Oh also plays in the Polish League. Earlier in the year he was victorious at the Australian Senior Open Championships and now the test is upon New Zealand to see if there are any with the skill and determination to challenge this world class player. Oh will combine in the men's doubles with NZ Ranked 1, Phillip Xiao and in the mixed doubles it will be up to Angel Huang from Canterbury to see if she can keep up with the stalwart and head for gold. An exciting opportunity to see a true world class player and also an immense challenge to see if any can stop him from clinching gold. 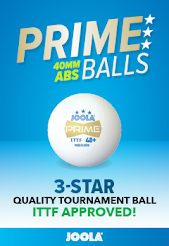 The hot contenders will be Teng Teng Liu, the defending champion, Phillip Xiao, a national finalist and North Island Champion and other top players in the top 10 the likes of Yi-Sien Lin and John Cordue. Some new fresh contenders will make the field more interesting also, 3 players from the Czech Republic who made a big impression at the South Island Championships this year will compete in the teams and individuals, while Otago also hosts a talented Danish player. More news to come as we gear up for the big event and team draws and seeds are announced, sit tight!